Did you know that September and early fall is a popular time for kitchen remodels? With the thoughts of holiday guests visiting in the upcoming months, home owners are looking to make changes and improvements to their homes. Since people tend to congregate in the kitchen, this space is a popular area for improvements. One easy way to update your kitchen is with a new sink. Today’s new designs reflect common needs in the kitchen while being stylish. One major concern for moms is the cleanliness. The InnerMost PerfectDrain Sink is the answer to design aesthetic and kitchen cleanliness. 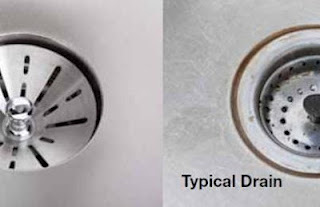 The “Perfect Drain” prevents crumbs, debris and germs from building up around the rim of a sink drain. With no edge to capture the mess, the items are easily washed down the drain. Plus, there is less time scrubbing a dirty sink ring. An edgeless drain that integrates seamlessly into the bottom of many popular Elkay sink models. Crumbs and gunk have nowhere to go but down the drain! exclusively at The Home Depot. The Double bowl version retails for $359. The single bowl version retails for $229.